Originating in Cuba, the Cha-Cha-Cha is a lively and versatile Latin dance. It is characterized by its captivating rhythm – one, two, cha, cha, cha or step, step, cha, cha, cha. The footwork is simple, focusing on shifting weight from one foot to another. Partners face each other in a basic ballroom hold. Gentleman starts with left foot; lady starts with right foot. 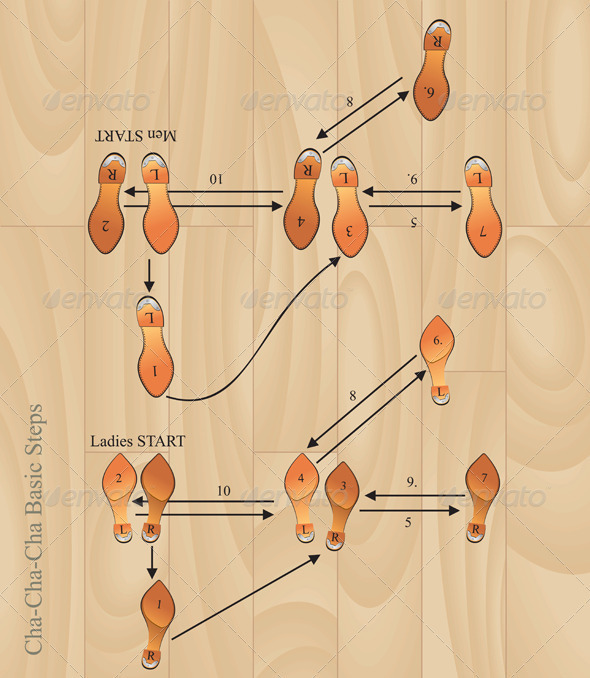 This entry was posted in Uncategorized and tagged ballroom dancing, Cha-Cha-Cha, choreography, coordination, Cuba, dance, feet, footwork, Latin dancing, learning to dance, movement, partner dances, popular music, rhythm, social dancing, steps. Bookmark the permalink.